From granting landmark statuses to slowing down the progress of new developments, the Landmarks Preservation Commission has been quite busy. Here is a look at a few of the activities relate to the LPC taking place in NYC. Despite a bumpy start, the new owners of the buildings at 827-81 Broadway have finally received approval from the Landmarks Preservation Commission to place a reflective topper on the top of Willem de Kooning’s former home. Following the purchase of the Union Square properties, the new owners teamed with designer DXA Studio to creates plans for a four-story glass addition atop the cast-iron buildings. The first two attempts at a topper were rejected by the Landmarks Preservation Commission, with the first proposal being rejected for being too overwhelming and the second being rejected for being out of sync with the historic buildings. The third proposal, which reduced the size to three stories and includes a 36-foot setback from the street level, was praised by the Commission and was approved by unanimous vote. Despite its approval from the Landmarks Preservation Commission, other preservation groups have expressed their displeasure. The Greenwich Village Society for Historic Preservation, for example, has expressed concerns that about the seven-story addition that will still be added to the building at 47 East 12th Street. While the approved plans help to hide the additions from the street, some can still be seen behind the buildings. That particular building, however, did not receive landmarks designation from the Landmarks Commission despite the fact that it was build in conjunction with 827-831 Broadway. With the approval that the plans received from the Landmarks Preservation Commission, the developers can now move forward with converting the buildings to office space. The conversion is being led by Quality Capital and Caerus Group. 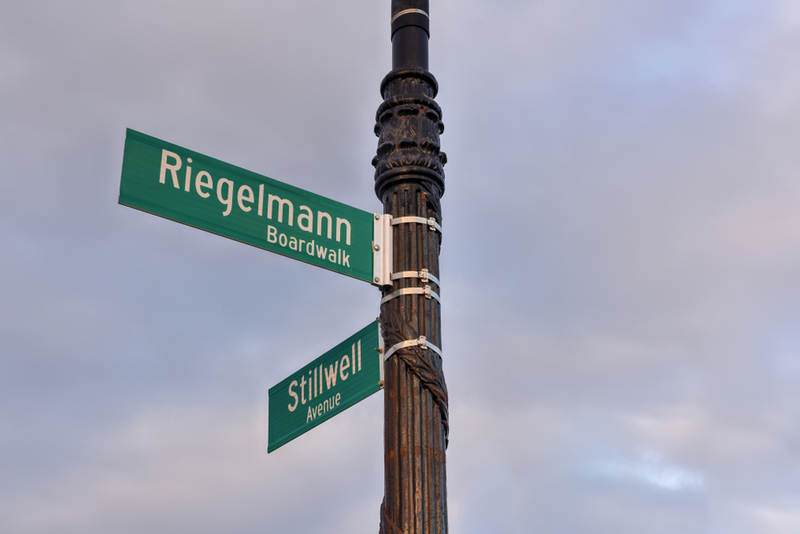 The 2.7-mile stretch of the Riegelmann Boardwalk at Coney Island has officially received landmark designation from the Landmarks Preservation Commission. Opened to the public on May 15, 1923, the boardwalk is officially the seventh scenic landmark to receives this designation in New York City. Receiving the designation was no easy feat, as a number of local residents and elected officials have been pushing for the designation for many years. The most recent efforts paid off with the Commission voting unanimously to designate the stretch between West 37th Street and Brighton 15th Street as a landmark. Since its opening on May 15, 1923, sections of the boardwalk have been changed due to damage from natural disasters such as Hurricane Sandy or due to simple wear and tear. In 2009, some sections were replaced with concrete while others have since been replaced with recycled plastic lumber with a concrete base. Developers of 200 Amsterdam have been battling preservationists offer the development of the 668-foot Upper West Side tower. While developers SJP Properties and Mitsui Fudosan America have not been ordered to stop construction, the developers have reached a settlement with the Municipal Arts Society (MAS) in which they agree to advise the Society when the foundation work is nearing completion. The developers have also agreed that they will not cite new incremental work and construction expenses as a right to injunction relief. In the meantime, a court has ordered the developers to refrain from doing any construction above the foundation until after the Board of Standards and appeals makes a decision regarding the challenge filed by MAS and the Committee for Environmentally Sound Development. Not Your Typical Valentine’s Day Events!